Have you heard a minister say that you should “speak words of faith?” Have you wondered what in the world he was talking about? 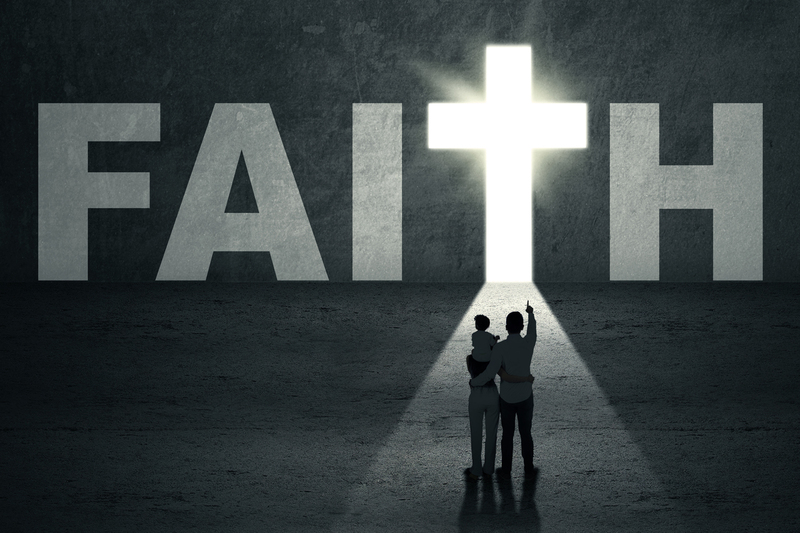 What exactly does it mean to “speak words of faith?” And why does it matter? Some people get uncomfortable with this topic because they don’t want to be identified with the “name it and claim it bunch.” But, like it or not, speaking words of faith is a vital part of taking what God has given you. Jesus made that crystal clear in Mark 11. He not only told us to speak words of faith over the natural situations in our lives, He set the example for us. In Mark 11:14, He spoke to the fruitless fig tree and said, “May no one ever eat your fruit again!” Sure enough, what He said happened: The fig tree withered and died. When the disciples asked Him about it, He told them they should operate the same way. In fact, He said that whosoever (in other words, anyone and everyone, including you and me) will speak believing his words come to pass will have whatever he says. Does that mean your new car will instantly show up in your driveway? Not necessarily. But that doesn’t matter. In the realm of the spirit, you’ve taken it. From the point of your prayer, it’s yours and if you keep saying so, and don’t waver, you’ll be driving it. The same is true if you’re dealing with sickness. When you pray, you can say, “Thank You, Lord, for my healing. I take it by faith so it’s mine. I believe I have it. Thank You that every symptom is gone from my body.” Although your physical feelings may not come in line right away, don’t get discouraged. Just keep seeing yourself well and use the Word of God and your words to receive the healing you’ve already taken by faith—and your healing will surely manifest. It sounds simple, and it is. But it’s not necessarily easy, especially at first, and here’s why. To truly believe that what we say is going to happen, we must have confidence in the power of God’s Word and our words, not just when we’re praying or making faith confessions, but all the time. We must realize and believe that what we say in life—in general, every day—comes to pass. When the Lord revealed this to Ken and me back in the early days of our faith life, we understood right away that we had to get our words in order. We couldn’t talk sickness, poverty and defeat even in casual conversation anymore. We had to train ourselves to talk, morning and night, according to the Word of God. In the beginning it was difficult. But before long, speaking words of faith became a way of life. Now it comes naturally to us—and it will for you too. Because we believe we have what we say, we say what we want not just when we pray but 24 hours a day.